To be perfectly honest I do not like the paintings of Jean-Michel Basquiat. My artistic tastes, with some exceptions, don't go past Guernica, which I think is the last great painting. I have a dim view of modern and post-modern art, and my art teacher once despaired for my soul after I told her I thought Jackson Pollack was just 'a bunch of squiggles'. 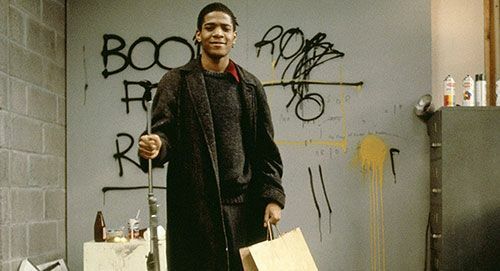 Boom For Real, the documentary of Basquiat's life from his early emergence in the New York art scene to when he first broke through to general recognition, does a good job in chronicling his world. It informs but is probably geared more for those who are Basquiat fans than those who are not. Still, one leaves with some idea of who he was in this portrait of the artist as a young man. 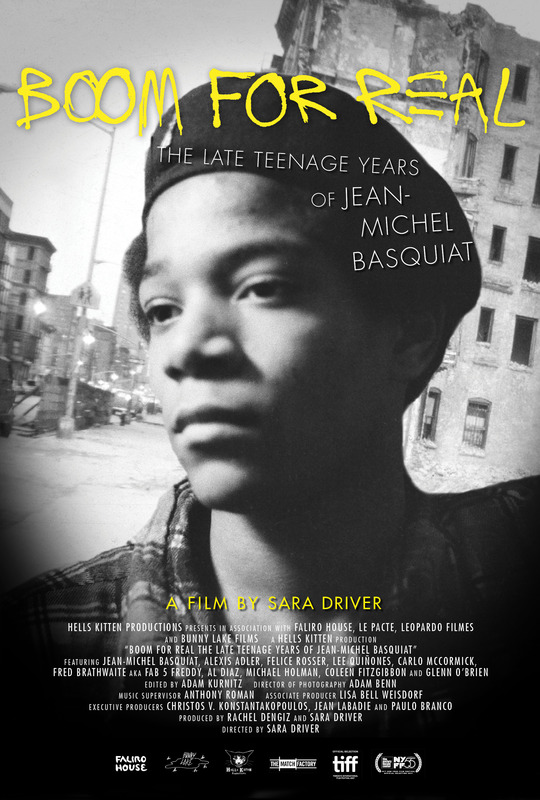 Using archival footage and interviews specific to Boom For Real, we learn that Jean-Michel started out in New York at a time when the city was on the verge of collapse. The crumbling infrastructure of the Big Apple opened up a new artistic world for the avant-garde that rejected the Establishment. This was the world that embraced people like Jim Jarmusch and The Talking Heads. Into it came Jean-Michel, first under the nom de artiste Samoo (as in 'Same Old') doing graffiti even though he was not strictly a graffiti artist or someone from that world. Instead, Samoo would include text along with the graffiti, sparking the attention of others. Soon, he and the underground art scene started embracing street elements such as break-dancing and what would become hip-hop even if Basquiat had a fondness for industrial music himself. He and other artists started creating and blending music into their work. There was, however, a dark element into this burgeoning world: heroin. Along with Basquiat's wild productivity and inventiveness, there was the danger this drug introduced. Some in the avant-garde saw the dangers in heroin. Some did not. Jean-Michel was in the latter group. Things culminate in the Times Square Show, an exhibition where the first rumblings of this Haitian-Puerto Rican artist start to emerge. Boom For Real essentially stops after he sold his first piece, I figure in those 'and the rest is history' moments. Those who were interviewed certainly think highly of Jean-Michel Basquiat as an artist. One says that his name will be spoken alongside such figures as Da Vinci, de Kooning, Titian and Jackson Pollack. I figure that was a compliment, but as I am not a fan of Pollack and don't think much of de Kooning, I am not won over to think Basquiat the artist is someone I should add to my collection. Moreover, I find the comparison to Da Vinci or Titian almost laughable, as I find them to be on another level of artistic brilliance. It's like trying to convince me Frank Lloyd Wright is on the same level as the architects of the Soviet era. Perhaps herein is where I feel a bit removed from Boom For Real. I learn a lot about Jean-Michel Basquiat as an emerging artist and of the creative world he lived in. What I don't think I got much of was Basquiat the person. Those interviewed again had great admiration for him as an artist and as a person. However, director Sara Driver seemed more interested in how he affected them and in the world they shared than in who Basquiat was, what drove him to create, what influences he had. 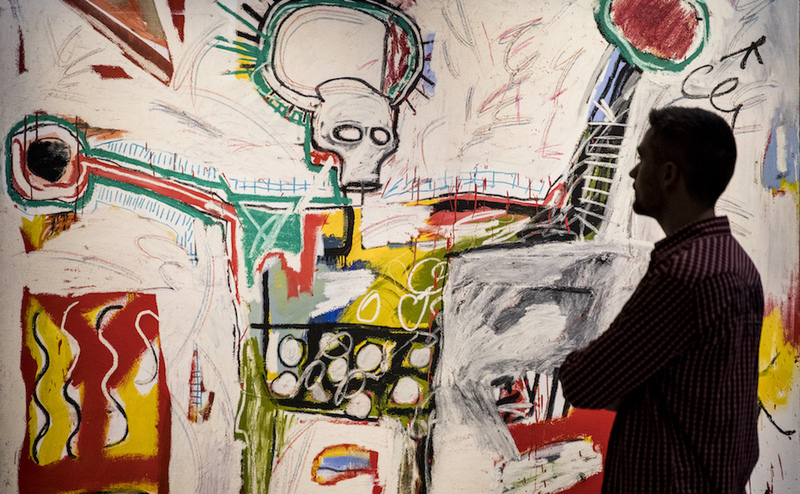 Jean-Michel Basquiat still seems a bit apart from things, like his paintings something to admire, even hold up as great but still remote and distant from those of us who find it hard to embrace his work. As a side note, for me, art is something to be enjoyed, something to bring you pleasure. I find many Basquiat paintings do not bring me pleasure. I don't take away from those who do find pleasure in them, but I cannot find myself ever interested in buying any of them even if I had the money to do so. I might reevaluate my views on his artwork, but for the moment, I'm not convinced. Boom For Real did not convince me either. However, we do get an interesting portrait into this lost world (no pun intended). We see the creativity coming from a world in disarray and despair, where new voices push up to be heard. Boom For Real covers this world slightly more than the subject of Basquiat, and sometimes the mix of regular film and a 16-millimeter style is a bit off-putting. On the whole though, one does get an interesting look at the light and dark side of creativity, something to encourage.